British Prime Minister Theresa May spoke to Pakistani Premier Imran Khan on Sunday to emphasise the importance of Pakistan taking action against all terrorist groups, Downing Street said. "The Prime Minister spoke to Pakistan's Prime Minister Imran Khan today. 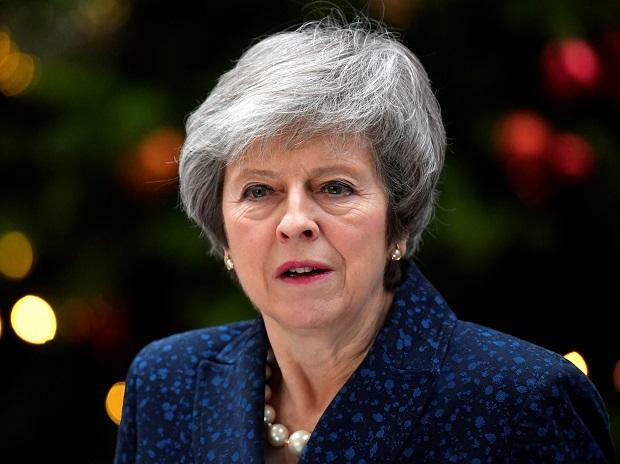 She welcomed his commitment to reducing tensions with India, and the return of Wing Commander Abhinandan, a Downing Street spokesperson said. "The leaders discussed the need to address the causes of this conflict. The Prime Minister emphasised the importance of Pakistan taking action against all terrorist groups, in support of global efforts to combat terrorism, the spokesperson said. Pakistan-based Jaish-e-Mohammed terror group had claimed responsibility for the suicide attack in which 40 CRPF soldiers were killed. After the Pulwama attack, the Indian Air Force carried out a counter-terror operation, hitting what it said was a JeM training camp in Balakot, deep inside Pakistan on February 26. The next day, Pakistan retaliated with a large air formation, comprising 24 fighter jets, including F-16s. During an urgent question in the House of Commons on Wednesday, UK Foreign Office minister Mark Field had told MPs that the UK would continue to support a listing of Jaish-e-Mohammed and its leader, Masood Azhar, under a UN Security Council Resolution.